Some of the best tax minds in the country agree on one thing: Corporate tax reform will be a very, very heavy lift. Sure, the White House and top lawmakers who will be in charge of writing tax law next year have signaled their openness to the idea. And, yes, there even seems to be consensus about what broad changes should be made. For example, lowering the top rate, while reducing and revamping the tax breaks corporations may take. That's called "broadening the base," and it could make the tax code fairer and more efficient. But let's get real. 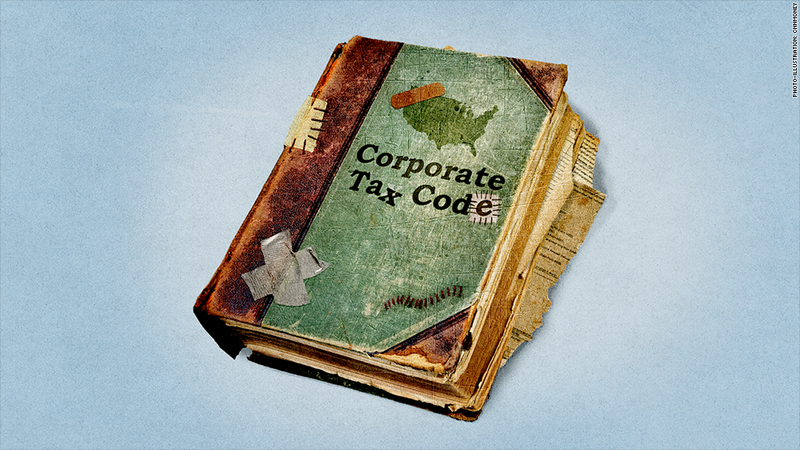 Here are a five things standing in the way of comprehensive corporate tax reform. Tax reform almost never happens: That's Reason No. 1 in Doug Holtz-Eakin's book. "The tax code is a little over 100 years old, and you can count on less than 5 fingers how many really big reforms have been successfully put through Congress," Holtz-Eakin, a former Congressional Budget Office director, said last week at a corporate tax conference co-sponsored by the Tax Policy Center and the Penn-Wharton Public Policy Initiative. Political fortitude is required: Although there is agreement on some important issues, Democrats and Republicans still disagree on others. How low should the corporate tax rate go? How much revenue should a reformed code raise? And even if bipartisanship can be mustered, there then needs to be "a willingness to go along and [to] restrain those who see political advantage in not going along," said Michael Knoll, co-director of the Center for Tax Law and Policy at the University of Pennsylvania. Education is needed: The American public must be educated on what's going on. And it may take awhile to bring them on board. Before the last big reform, in 1986, which overhauled both the individual and the corporate tax codes, "it took 10 years of real public education to get the public to buy into this," Holtz-Eakin said. No one is talking about reforming both codes at once this time around. "So it may be a tough political sell to say we're going to fix the taxes of the largest corporations and do nothing for the average guy," he added. International cooperation is critical: One of the biggest problems with the corporate tax code is that it hasn't kept pace with technology and the globalization of business. There are several ways that U.S. multinationals can shift profits from the United States to lower-tax countries. So even if the United States adopts a "territorial" tax system (ie. the only profits subject to U.S. tax are the profits a company makes on U.S. soil) companies could still shift profits offshore unless stricter rules are put in place. But such rules may chase investment away if they're only applied by the United States. That's why U.S. trading partners need to agree on how profits should be allocated, said Eric Toder, co-director of the Tax Policy Center. The OECD has been trying to curb profit-shifting incentives. But even that effort has limits, said Jennifer Blouin, associate professor of accounting at the Wharton School of Business. "You have 30-plus sovereign nations sitting at the table saying, 'Well I don't think Ireland should do that.' Then Ireland looks to the UK [and says,] 'Well you have a patent box' and to the Netherlands, 'You don't tax royalty income.'" Hercules may be busy: Holtz-Eakin called reform a "Herculean task" -- setting an internationally competitive lower rate and finding agreement in Washington on which tax breaks to preserve and doing it in a way that raises at least the same amount of revenue as the current system. The good news: There have been hearings, research and a few proposals that will help shape future corporate tax reform discussions, some of which may even take place next year.